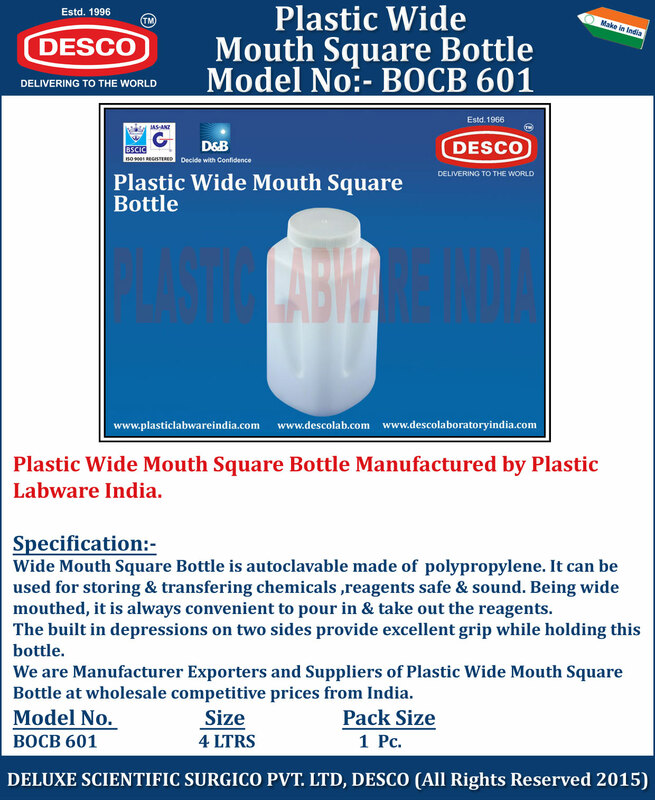 Wide Mouth Square Bottle is autoclavable made of polypropylene. It can be used for storing & transfering chemicals ,reagents safe & sound. Being wide mouthed, it is always convenient to pour in & take out the reagents. The built in depressions on two sides provide excellent grip while holding this bottle. We are Manufacturer Exporters and Suppliers of Plastic Wide Mouth Square Bottle at wholesale competitive prices from India. BOCB 601 4 LTRS 6 Pc.